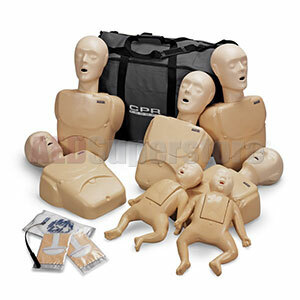 5 Adult/Child manikin and 2 Infant manikins packed in a durable nylon carrying case with 50 Adult/Child & 20 Infant face-shield/lung bags and insertion tool. Not made with natural rubber latex. Five-year warranty.